If you have ever hiked high above Loch Vale in Rocky Mountain National Park and visited Sky Pond you have no doubt stopped to enjoy this beautiful waterfall. Located above Lake of Glass and just below Sky Pond this beautiful unamed cascade typifies the subtle beauty of the high country of Rocky Mountain National Park during the summer months. 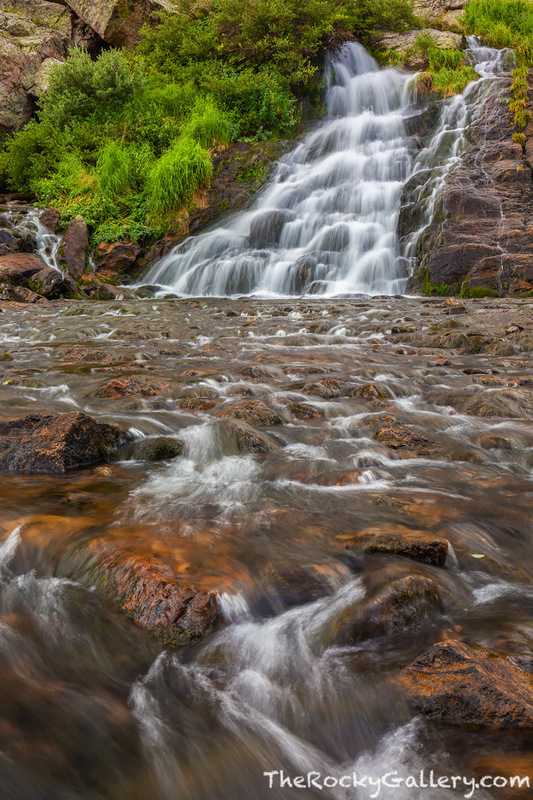 This waterfall is a great place to take a break and enjoy the stunning alpine scenery RMNP reveals once the snow melts. Photo © copyright by Thomas Mangan.